The thirteen-day war has already been 50 years since World War I was called the year 2080. The world has experienced severe devastation and has not yet recovered to the state before the war. This is a story that happened in such a world. The war changed most of the Old world's large cities into ruins + forest. The supply of resources had to rely on mining from ruins. 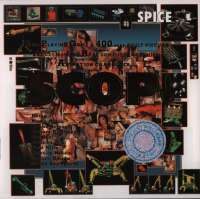 In time, "SCOP" appeared to make the mining of various resources an occupation without danger. The two main characters of the game, will Dismond and Ryo Coast Guard, They of the childhood friend were the counterpart of such a shovel. Every day, two people were continuing to mine the resources in ruins, but one day the sister flare of will fell into an unknown disease. The impact of the nuclear war has spread to various places. Too low fertility rates, high infant mortality, and unexplained strange diseases. As it is, flare dies. The treatment must continue to give an expensive vaccine. The political participation right of the man was completely extinguished that it differs greatly from before the other World War. After the World War, the World Government (GE) was established, and a gradual centralized system was established, but the cause of the World War was attributed to men's militancy, and all politicians were accounted for by women. In the Society of Paradise, goods of an adult genre which had flourished once became all prohibited goods. However, it was rumored that there was a dark route to deal with these contraband items. Two of the protagonists, in order to raise the cost of treatment to save the sister flare, but finally began to dye the mining of adult goods of prohibited goods.